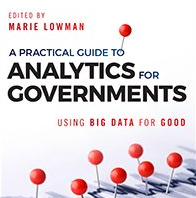 From public health to transportation, the new release from SAS titled “A Practical Guide to Analytics for Governments: Using Big Data for Good” is a solid indicator of how analytics is already modifying the way government works. This substantial piece of literature features contributors ranging from doctors to criminal justice experts, sharing their strategies, techniques and real-world experience in how leaders can make better decisions through analytics. Advances in understanding how big data works, analytics and their functions, machine learning, and other technologies give you–the reader, leader and public service professional–the power to build better governance. The truth is out there: A Practical Guide to Analytics for Governments will show you the way.